Bakery that resided at location of Tobacco Road in Miami in the 1920s and 1930s. Before Tobacco Road was a Miami watering hole, it was a bakery. Not just any bakery, but a bakery that was a front for a speakeasy and gambling den. From the time that the first building and business appeared at 626 South Miami Avenue, or 1812 Avenue D as the address was known prior to 1921, it was listed to Gunnar C Rosenquist. Although the date of the picture in this post is not known exactly, it most likely was taken anywhere from 1920 to 1925. The photo was found on the Florida Memory site and was tagged with a date of 1920s. This indicates that the person posting the picture wasn’t sure of the exact date, but believed it to have been in the 1920s. The building was considered residential from the time it was built in 1915 until it appeared in the city directory as Rosenquist Home Bakery in 1922. Gunnar was listed at the address and his occupation was provided as baker, but the official name of the bakery didn’t appear until the 1922 city directory listing. Notice that this picture has a sign hanging from the second floor with the bakery name. Considering the timeline, this picture most likely was taken during or later than 1922. Rosenquist Home Bakery was in business at 626 South Miami Avenue until 1925. 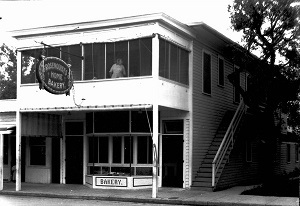 Other bakeries appeared in today’s Tobacco Road building from 1925 until 1930, at which time Rosenquist Home Bakery reappeared at this location. Gunnar Rosenquist once again ran his business here until 1936. It is clear that the picture is taken from the front of the building and it was taken from across the street, just north of the location of the building. The building that is adjacent to Tobacco Road today was built in 1925. The aforementioned building would have appeared in the picture about where the staircase is located. Therefore, this picture had to have been taken during or after 1922, but prior to the end of 1925. While the Tobacco Road location was known as a speakeasy when it was a bakery, it isn’t clear when the speakeasy, and gambling den, were in business. This could have occurred during the time Rosenquist ran his bakery in the early 1920s and / or the early 1930s. It also could have occurred during the time the other bakeries operated at the location. Considering that the rise of speakeasies during prohibition were most prevalent during the 1920s, it could be assumed that Rosenquist did run a speakeasy in addition to the bakery. As one looks at this picture, it is hard to believe that the second floor of this building hosted the likes of Al Capone and scores of others indulging in the enticements of the day in the 1920s and 1930s. The second floor also hosted much raunchier behavior in the 1940s through the mid-1970s when it was a cabaret of varying themes. There is a woman that appears on the second floor screened patio. It is likely that this was Gunther’s wife, Anne Rosenquist. She can be seen on a porch and extension that does not exist today. With the exception of an awning, today’s Tobacco Road building is flush with the sidewalk, rather than extending over the sidewalk. Also, notice that the building stock is wood frame, while today’s Tobacco Road is considered a vernacular masonry design. 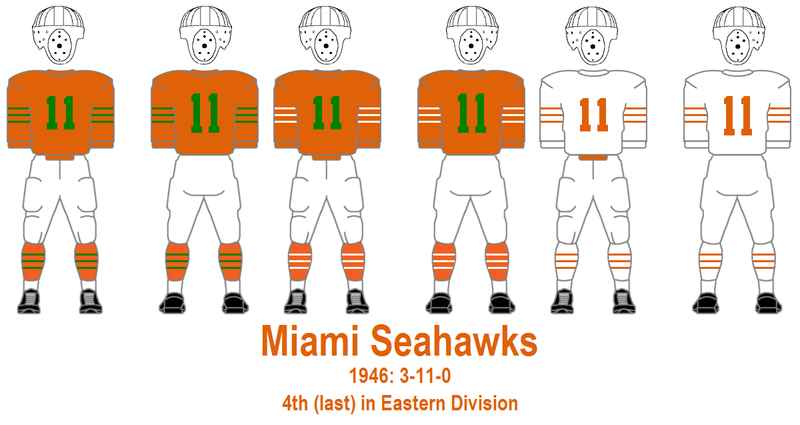 It was not uncommon in early Miami to add masonry around existing wood structures. Considering that the City of Miami property appraiser web site considers the building at 626 South Miami Avenue as originating in 1915, it is very unlikely that the building in this picture was torn down and another building constructed in its place at a later date. The building hosting Tobacco Road not only provides insight into the architectural choices and building stock of the early 1900s, it represents a view into the business district of early Miami. Miami Avenue was a primary business thoroughfare for commerce in early Miami. While much of the business district was found on the north side of the river, the stretch of buildings, that includes Tobacco Road, represents what is left of the business district of yesterday that began in the 1920s and is still operating today. These buildings have lasted through countless building booms. Let’s hope they survive the most current boom. For more on the full history of Tobacco Road in Miami, check out Tobacco Road – From Bakery, Speakeasy to Miami City Landmark.